... and a cabbage teapot on the table! Perfect! 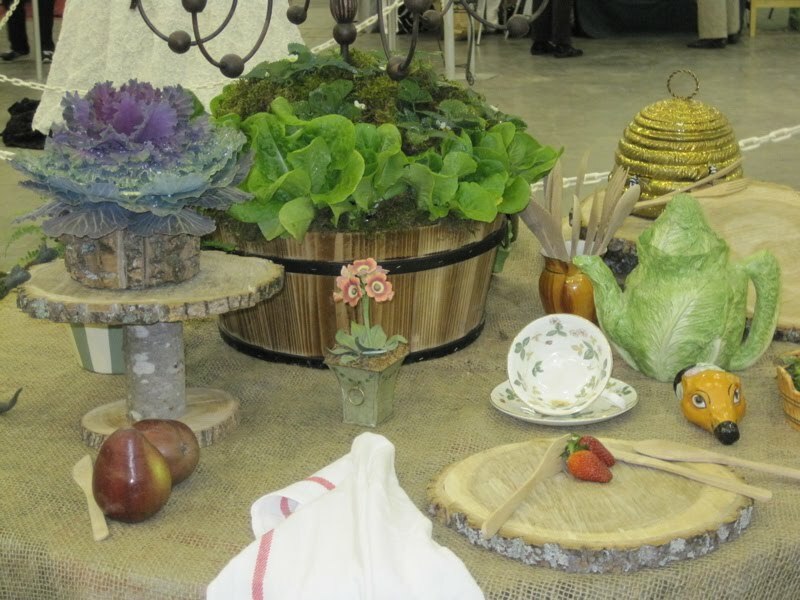 At left, you'll see a creative idea for a nature-inspired "pedestal" for serving. I also liked this "stump" seating, which featured cute cushions. 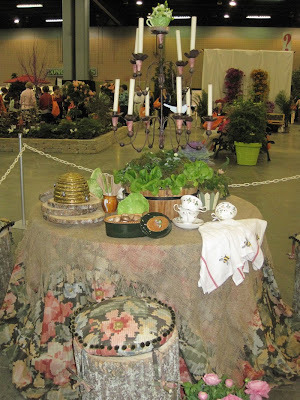 I just adored this display! One of the more elegant garden club table settings was a tribute to Elton John, who lives part-time in Atlanta. 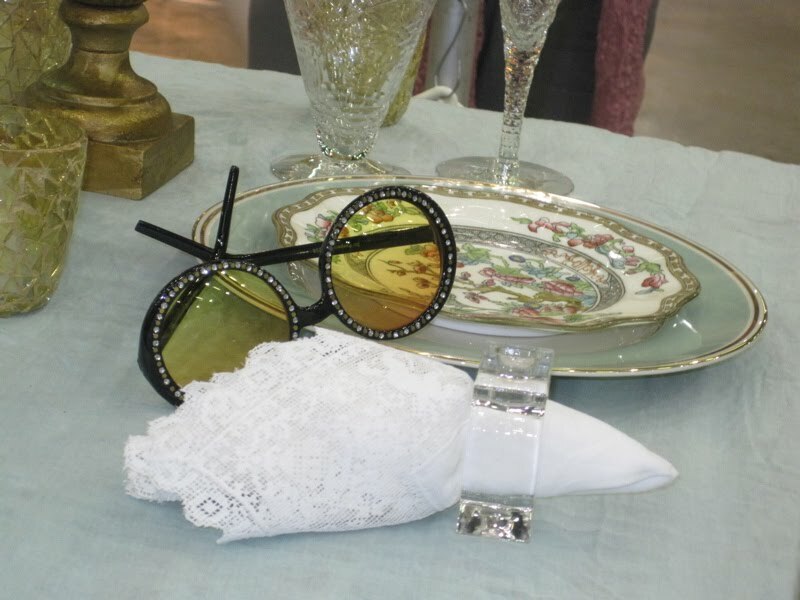 The glasses were a nice touch! 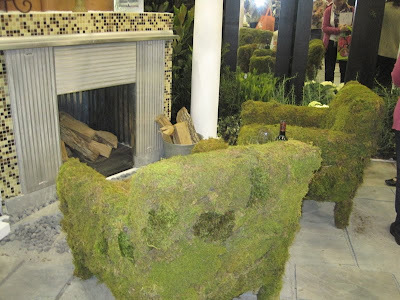 In the display gardens, I loved these mossy chairs the moment I saw them! Probably wouldn't be very comfortable to sit in, but oh my, how lovely! 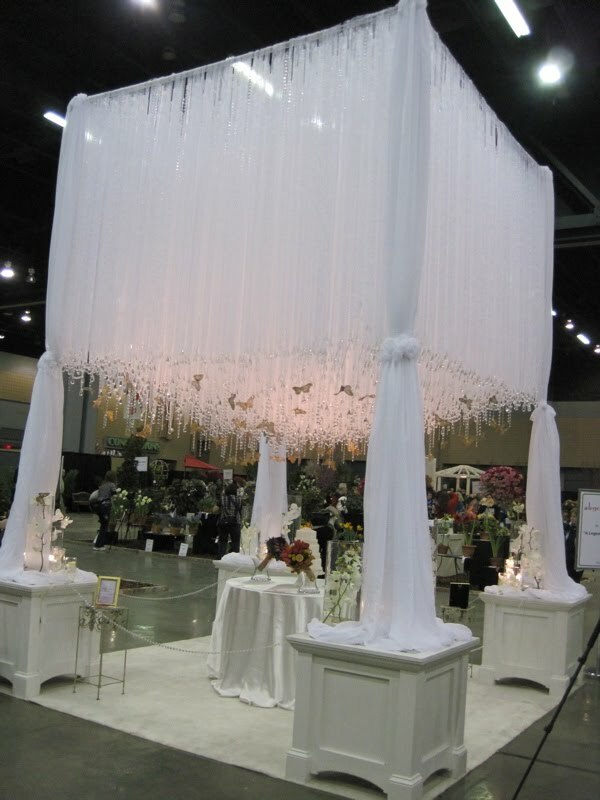 Several of the retail exhibitors created wedding displays, and this one from A Legendary Event in Atlanta was stunning! 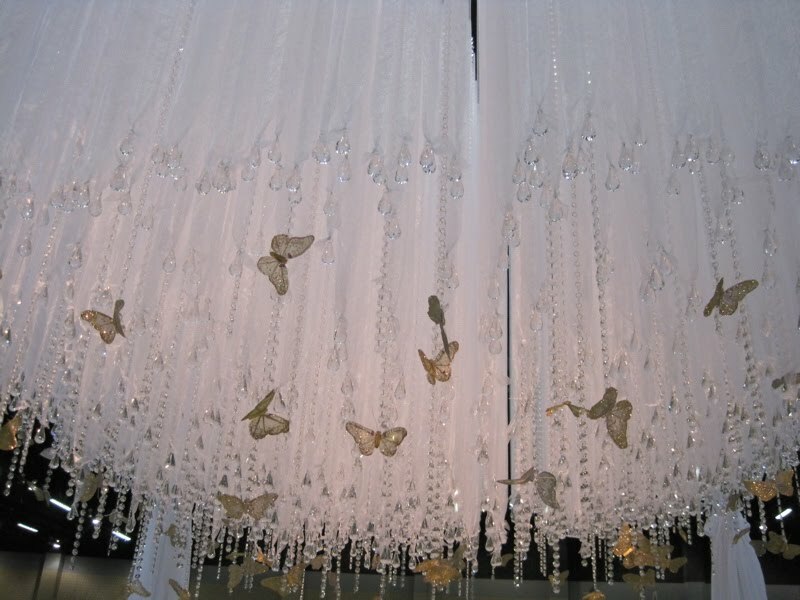 They created this amazing canopy from sheer ribbon, dangling crystals and glistening butterflies. 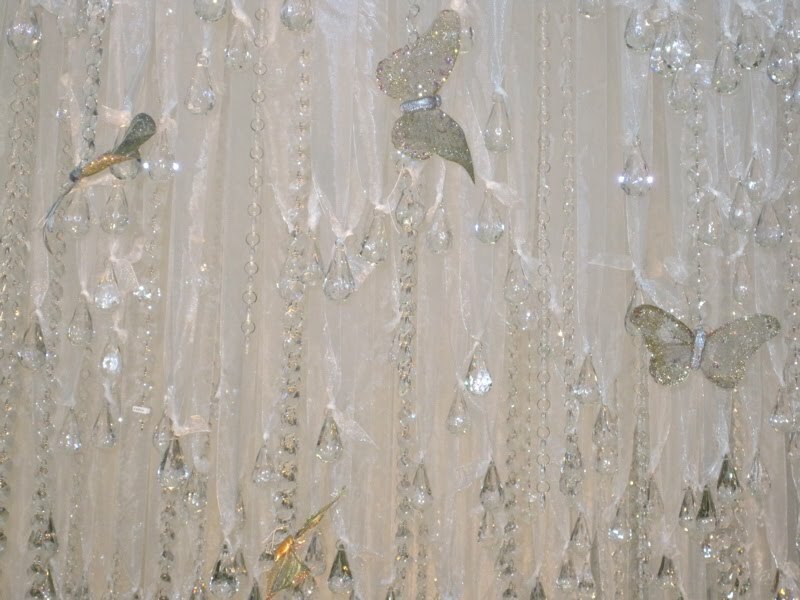 As gorgeous as it was at the flower show, I can only imagine how magical such a thing would be on site at a wedding! Speaking of gorgeous, I truly enjoyed this display of "My Fair Lady" inspired floral designs, which remind me of my mom's head vase collection. I'm rather partial to this film since it won Best Picture the year I was born and stars Aubrey Hepburn, with whom I share a birthday! 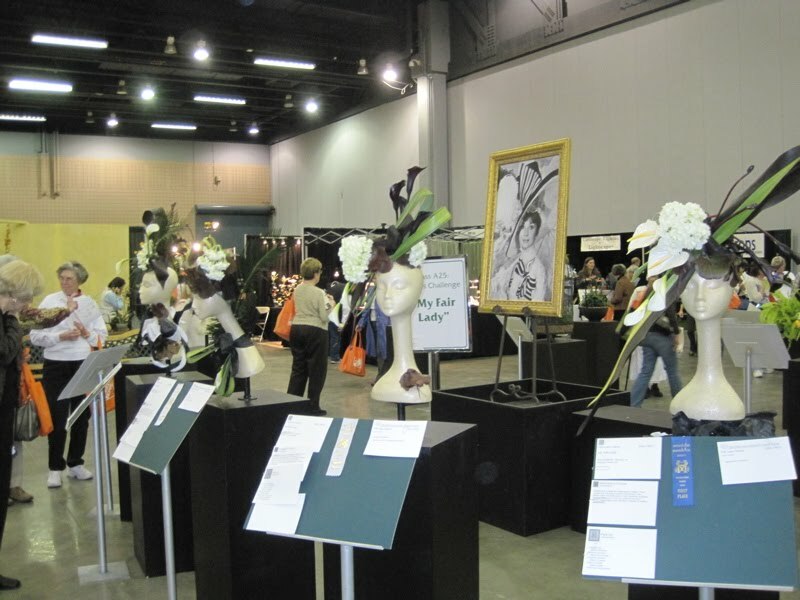 And finally, no flower show would be complete without a visit to the vendor aisles. This year there was a very elegant booth with lovely glass and antique silver. 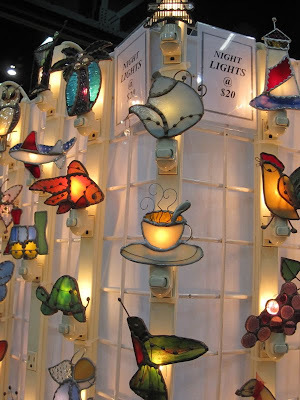 And these stained glass nightlights caught my eye as well. 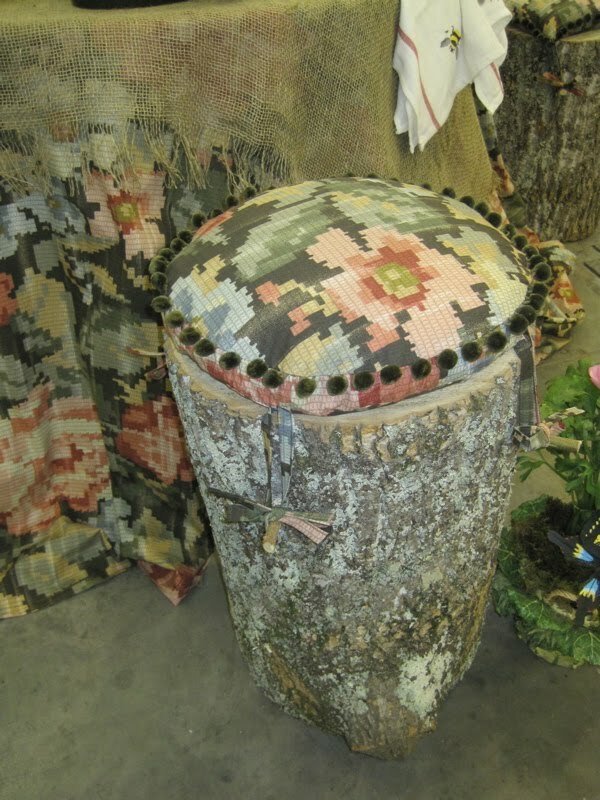 But if you'll come back tomorrow, I'll show you my prize purchase, which was -- strange as it may sound -- the *prettiest* composting bin ever! This week's tea sandwich isn't about the recipe so much as it is about the *idea. 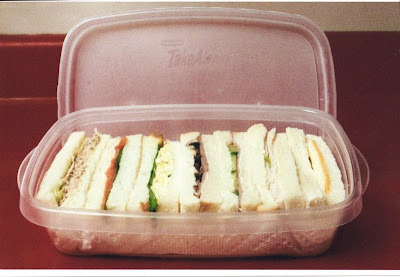 * I had decided I wanted to pair sliced turkey with something for this week's sandwich, but I couldn't decide what. Pear? Another cream cheese concoction? All I knew is that I wanted meat and something. Then on Wednesday, I joined my friend Ashly, whose husband is currently serving in Iraq, in a visit to the PX at Ft. Benning. I'd never visited a PX before, and those of you raised in military families can just imagine the surprises that greeted me! 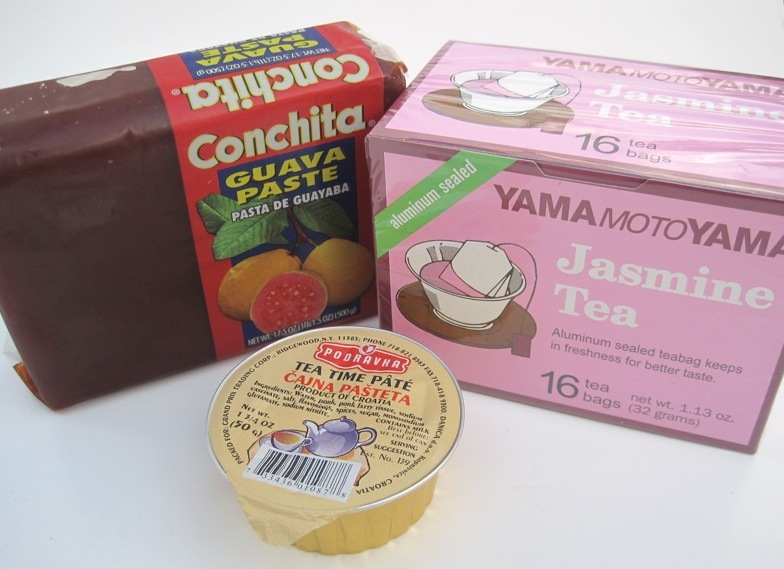 There was a place where you could buy international foods, and several things came home with me: Some guava paste from Brazil, some Tea Time Pâté from Croatia, and some Chinese green tea with jasmine (made in America, but it appealed to me at the moment). All of this cost me just a little over $5. Now I like juices that are blended with guava juice, so I had a feeling I might like the guava paste. 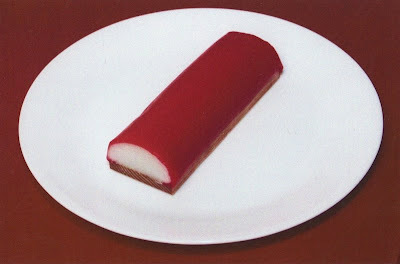 When I sliced it, it was very firm, sort of like a really stiff cranberry sauce but with that nice tropical guava taste. 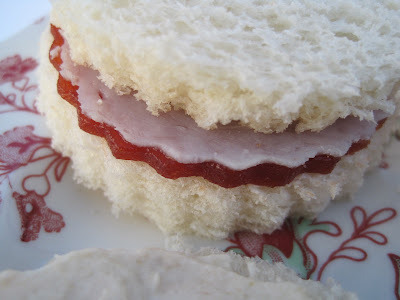 For my tea sandwich, I used a scalloped cutter to cut rounds of white bread (frozen for easier cutting). I spread a thin layer of butter on each slice, then added the thin-sliced turkey and a thin slice of the guava paste. I liked the combination of the sweet guava with the salty turkey. Obviously this is not a food I'll have access to all the time, but it did encourage me to experiment with new ingredients. Ashly had spotted the Tea Time Pâté, which is basically a $1 tin of deviled ham, but I had to get it because of the name. 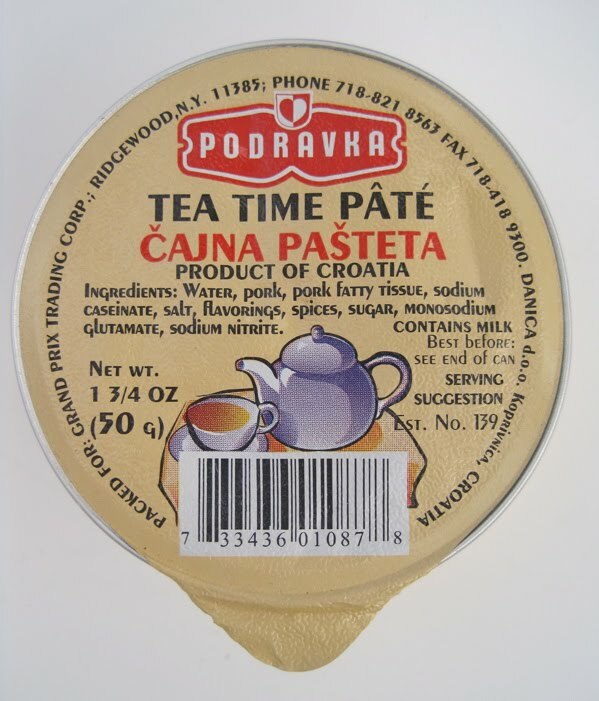 I used the Croatian pâté as a spread on Italian bread and then added a small round slice of the Brazilian guava paste as an accent, making this my most "international" tea sandwich thus far, I suppose. I have so much guava paste left I will no doubt be able to conduct a few more culinary experiments. Fortunately, I found a great link online with suggestions for using guava paste. I really enjoy experimenting with new foods. Do you? 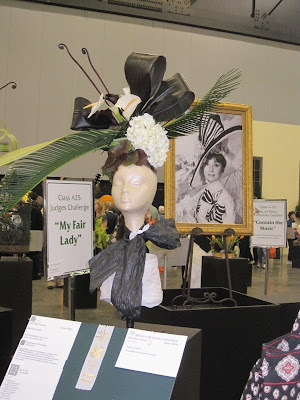 Susan of the Chipmunknits blog! If you'll send me your current mailing address via the e-mail button at right, I'll get these off to you. Congratulations! 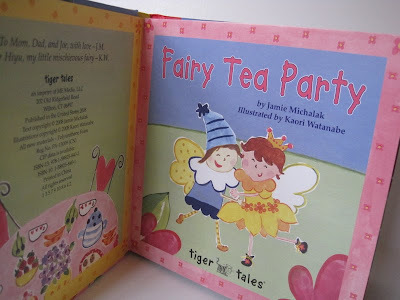 Many of us who collect books on tea enjoy having a few children's books in our collection as well. 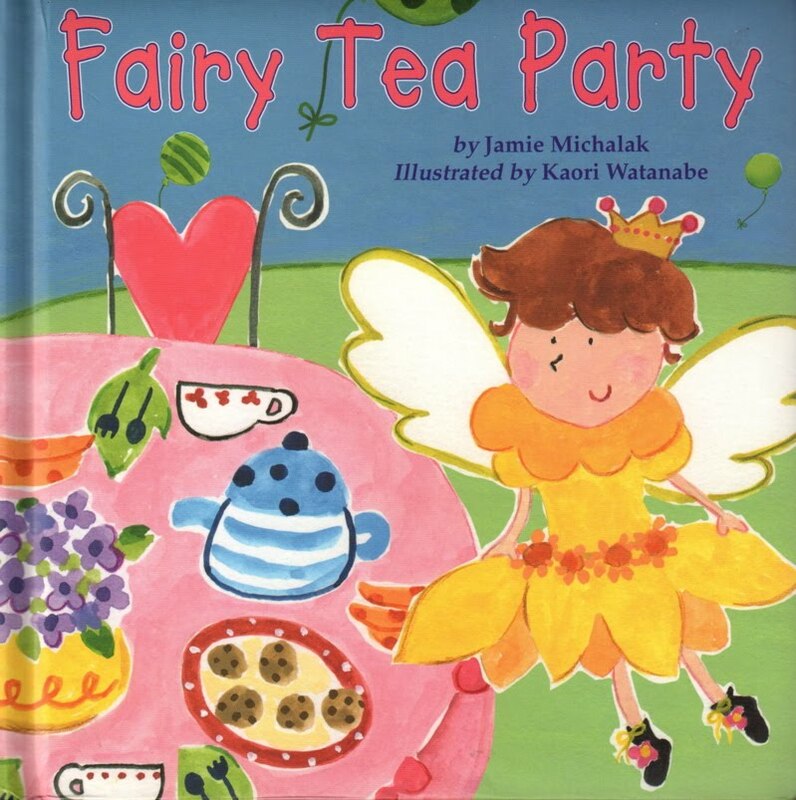 This week I received one I'd never heard of before from my friend Joanie, "Fairy Tea Party," written by Jamie Michalak and illustrated by Kaori Watanabe. This 2008 board book is a simple one designed to teach children their colors. 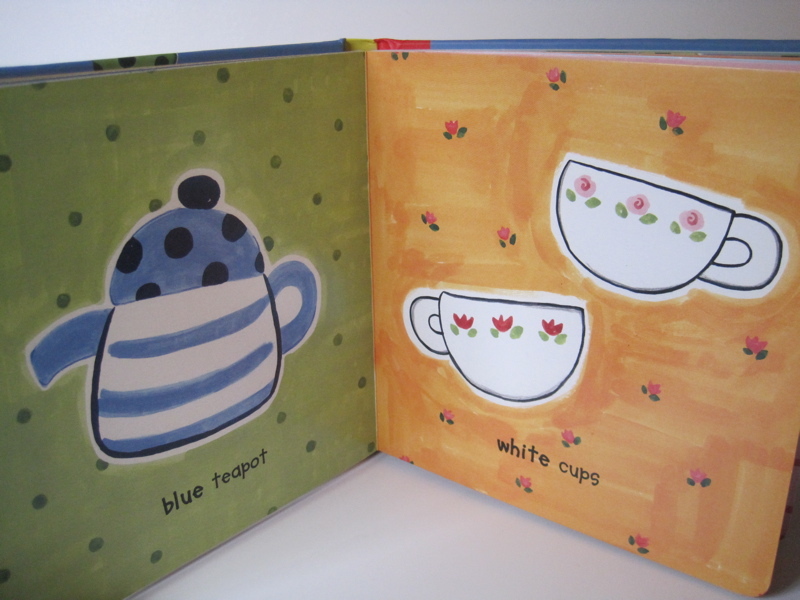 On these two pages, for instance, a blue teapot and white teacups are being gathered for a tea party. What a charming way to teach colors! 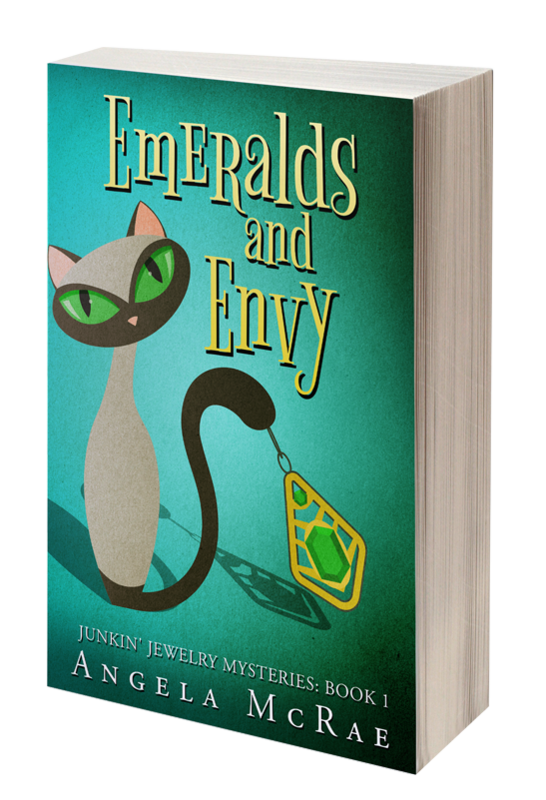 What I love most about this book, though, is the fun folk art look of the paintings. 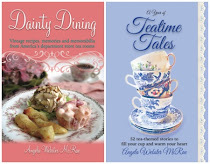 It's a nice change from the typical cartoon look of most children's teatime books. 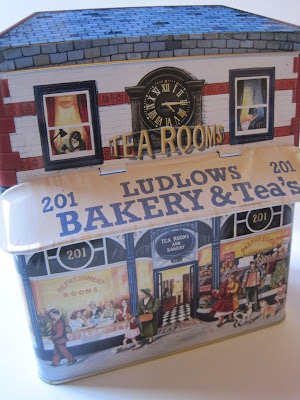 So if you know a young tea lover, or still feel like one yourself, you may want to check out this delightful book! 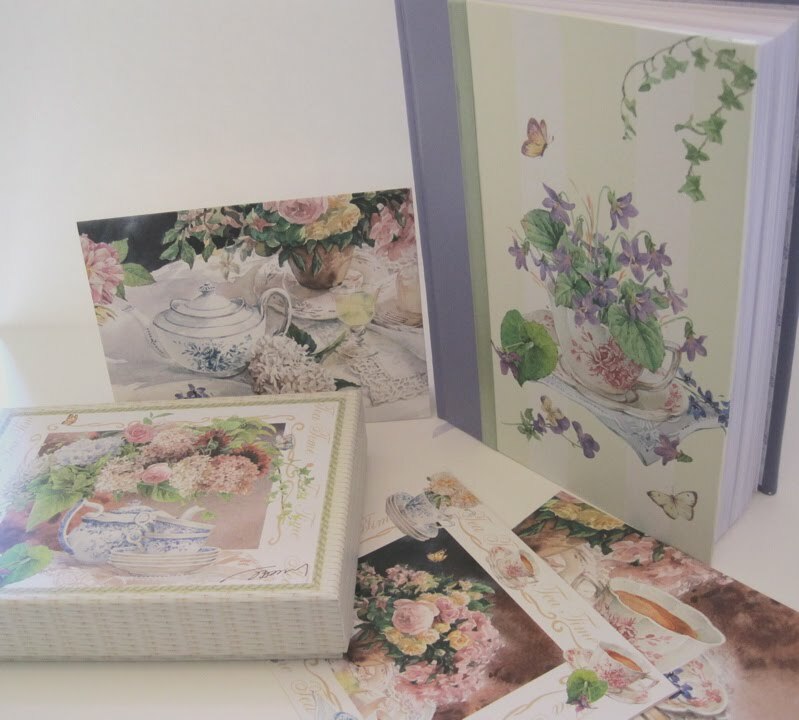 A Kimberly Shaw stationery giveaway! I'm sure many (if not all) of you are aware of the artist Kimberly Shaw, whose gorgeous teapot and teacup designs grace many a stationery item. Several times I've been treated to one of her lovely cards similar to this one with a teabag tucked right into the design on front of the card. It's beautiful *and* useful all at once! 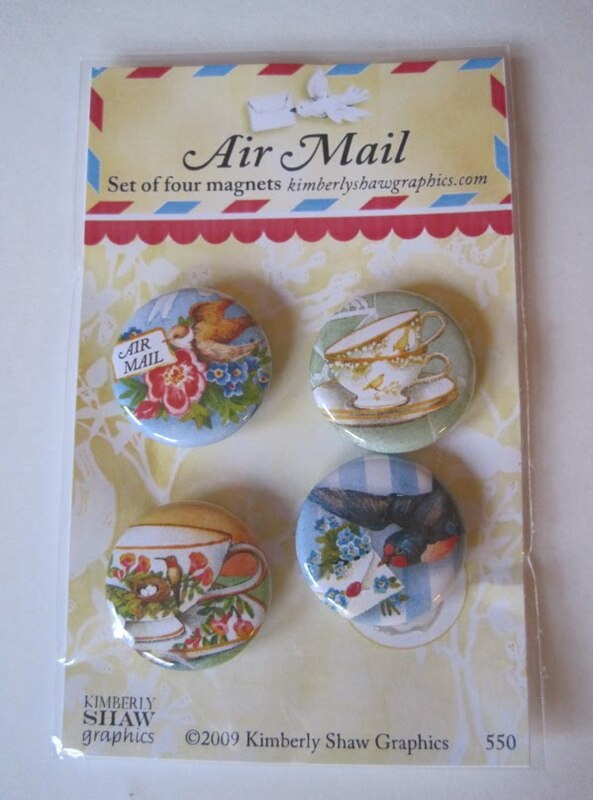 ... four beautiful teacup magnets. Anyone interested? Yes, I thought so! 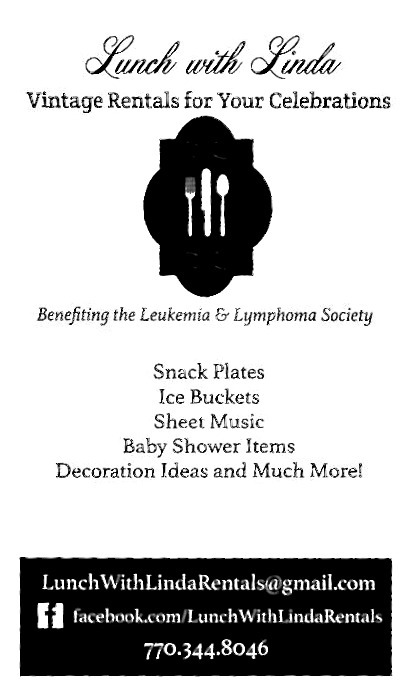 Just leave a comment before 7 a.m. EST tomorrow and you'll be entered to win all these fun treats! And to experience even more stationery lust, visit the Kimberly Shaw store online. Good luck! Recently I mentioned a new teacup I had purchased which originally came from the famous Wanamaker's department store. That set me to thinking about the most famous department store in my own state, the late great Rich's. 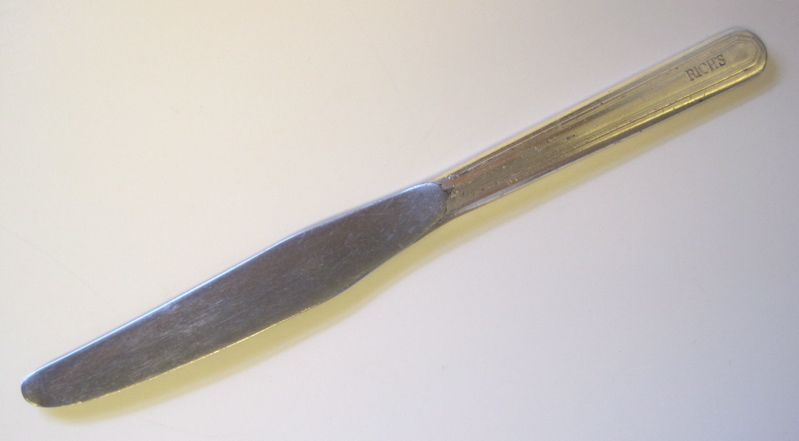 Years ago I found this vintage knife from Rich's on one of my junkin' expeditions and knew I wanted to save it as a memento of that dear, departed store. 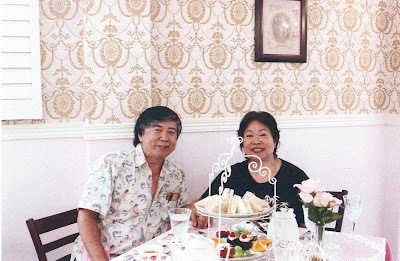 I thought I had eaten at Rich's famous tea room, The Magnolia Room, as a little girl, but my mom said no, she doesn't think so, when I asked her about that recently, and I trust her memory over mine! 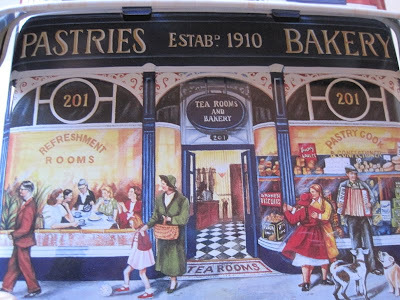 One thing I know for sure, however, is that my family was a frequent customer of the Rich's Bake Shop, and a recipe that both they and the Rich's tea room were known for is their legendary Rich's Coconut Cake. The Atlanta Journal-Constitution had printed what was supposedly "the" recipe years ago, and I dutifully tried making it but it was a dud. It called for fresh coconut and had a gazillion steps, and it just tasted like a dried-out coconut cake. Soooo not worth the effort! Recently, I saw the AJC had on its website an updated recipe for Rich's Coconut Cake, one developed with the assistance of a gentleman who had actually worked in the Rich's Bake Shop. I made one for Daddy, whose birthday was yesterday. The review? It was fairly tasty and definitely moister than the previous version but merely OK in my book. 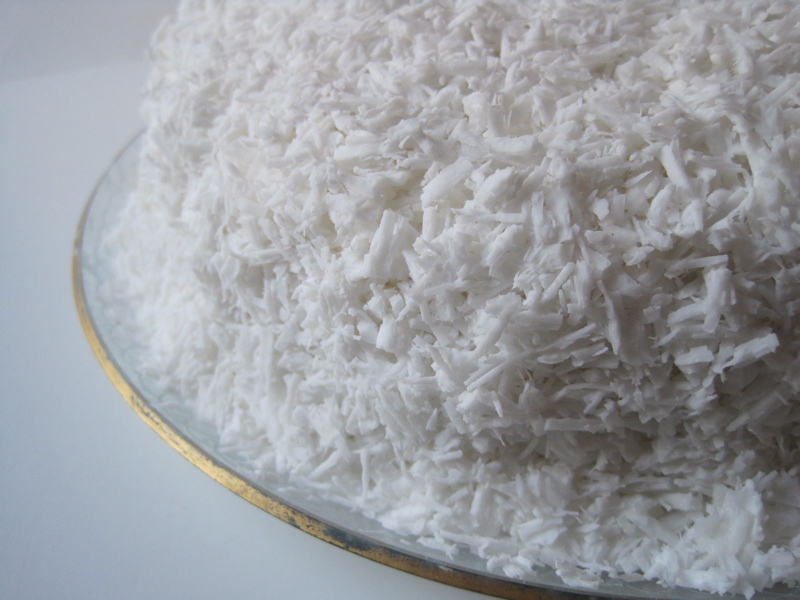 My dad — who is an expert cake baker himself and makes THE best coconut cake since Rich's — said convincingly that he thought it was "gooood." But I know better. I'm his daughter and he would have said that no matter what! 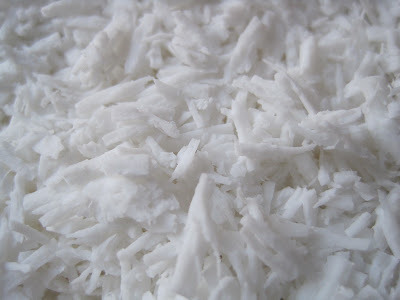 So, my quest for the "real" Rich's Coconut Cake continues. Meanwhile, I've come across another department store tea room recipe for a dish I learned about from Phyllis in Michigan, the famous Maurice Salad once served at J.L. Hudson's Department Store in Detroit. I'll let you know how it turns out! When I was shopping at my local Ross store a few weeks ago, I came across some journals with teacups on the cover (one was a recent blog giveaway), and they were marked Lissom Design 2011. 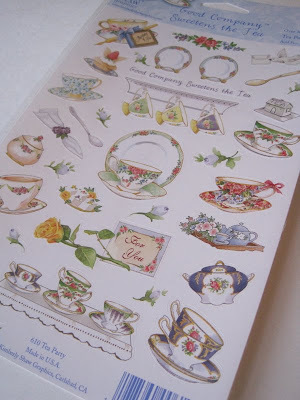 As I browsed the stationery aisle, I also came across some boxed notecards which appeared to feature the same style of tea-themed artwork. 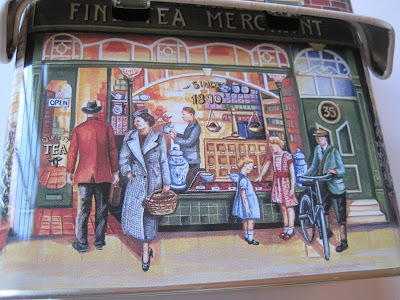 I don't know who the artist is, and I can't quite make out the initials or signature, but I sure like their work! 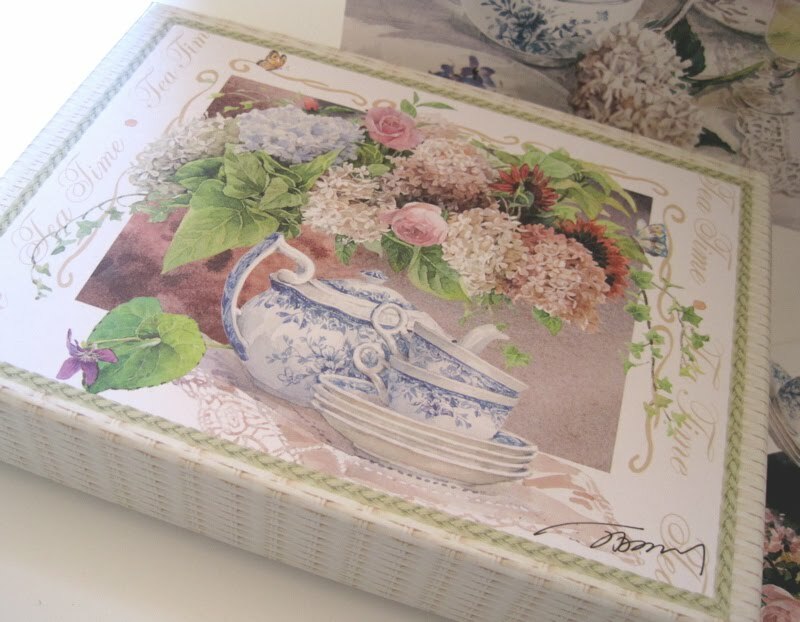 This box of notecards features four different designs, including the attractive blue and white teawares on the box lid. 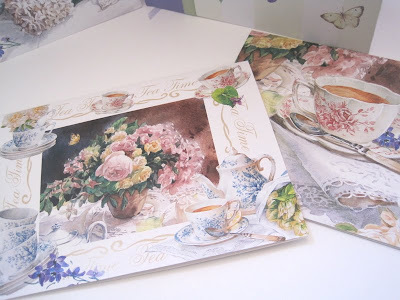 I really like these cards, and I thought $3.99 for a set of 20 large teatime cards (6-3/4 x 5 inches) was a terrific buy. If you happen to be in your local Ross store, you might want to look for some of these. 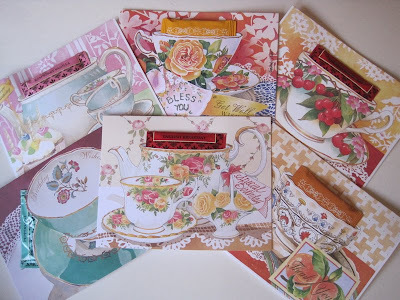 And if you don't live near a Ross (similar to a T.J. Maxx or Marshalls), you can find other tea-themed stationery from Lissom Design by going here. A lovely finish to Valentine's Week! 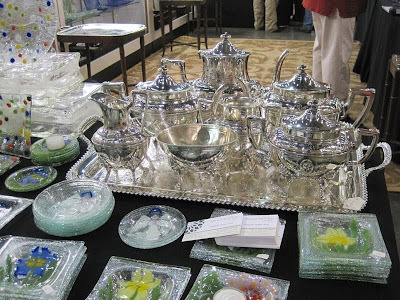 Last week I wrote about going to Valentine's Tea in Woodstock, but I also wanted to mention that the town has some great antique malls and shops that are worth checking out if you're in the neighborhood. 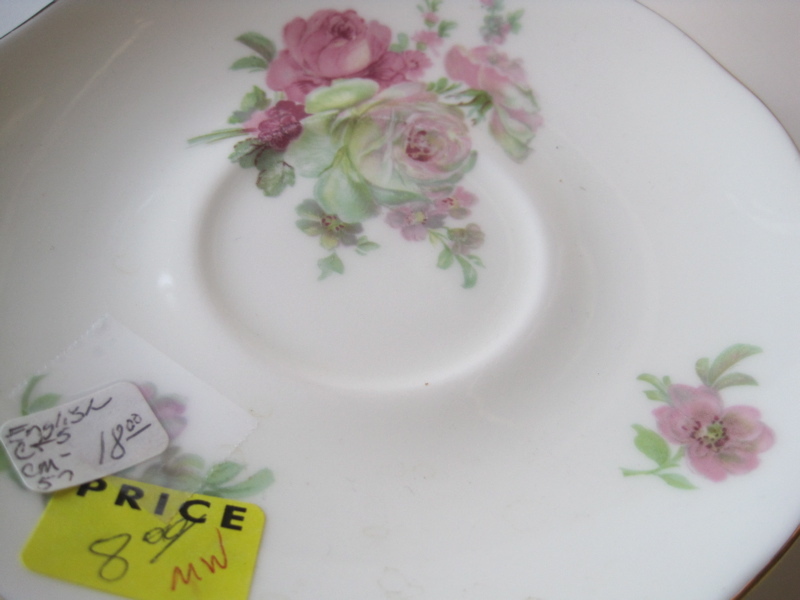 One of my favorite finds, at a delightful antique mall called Pennybag Emporium, was this rosy teacup and saucer by Royal Winchester. Now I love roses in just about any shape, size or fashion, but the old-fashioned, full-blown pink and white ones are my absolute favorites. 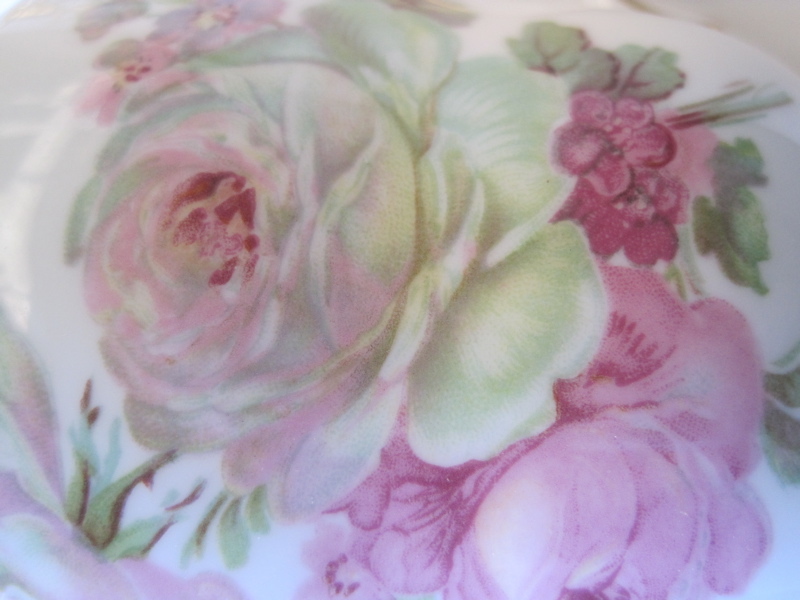 I don't often come across teacup roses that look as soft and pretty as these, but when I do, I grab them! It also helped to find this set had, for no apparent reason, been marked down $10. Excellent! 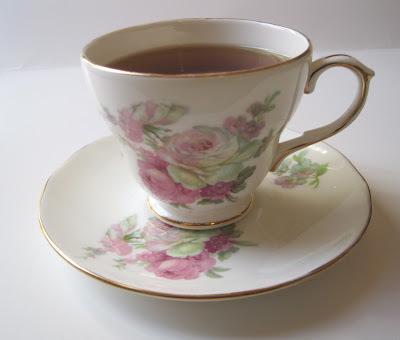 So that's what I sipped my tea from during Valentine's Week. 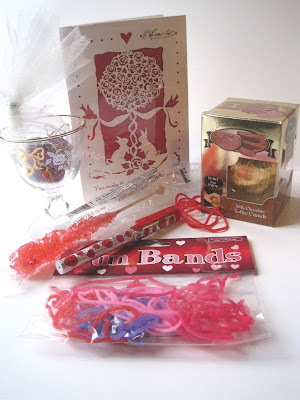 Now I had assumed the celebrating was over on Monday, but on Friday afternoon I learned a delightful gift bag of treats had been dropped off for me at the office by my friend Joanie! What fun I had opening layers of pink tissue paper and sparkly tulle to find all the treats she had so lovingly gathered: A beautiful silhouette card, a delicious Toffee Crunch chocolate ball, a heart pen, a whimsical package of those cute stretchy bracelets that are so "in" right now, a red rock sugar wand (these are perfect for sweetening tea! ), a gift card to Hastings book store here in Newnan (boy, will I enjoy using that! 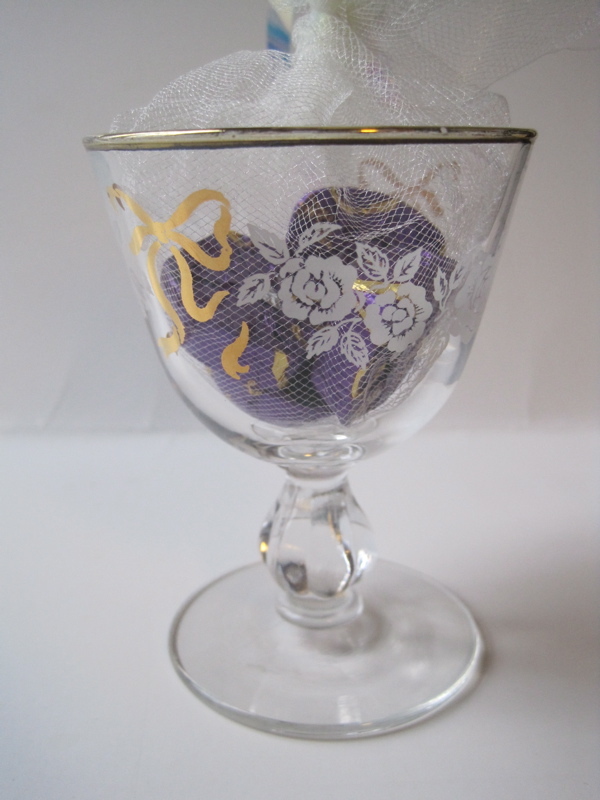 ), and last but not least, a lovely little ribbon and roses bedecked glass I would have adored even if it hadn't contained Dove chocolates! I have seen these elegant little glasses used in tea rooms for serving cream and/or lemon curd (yes, you can put both in a single glass). I will so enjoy using this and remembering what a fun Valentine's treat my friend surprised me with. It was an unexpected and thoroughly fun treat, and a terrific way to close out Valentine's Week 2011! 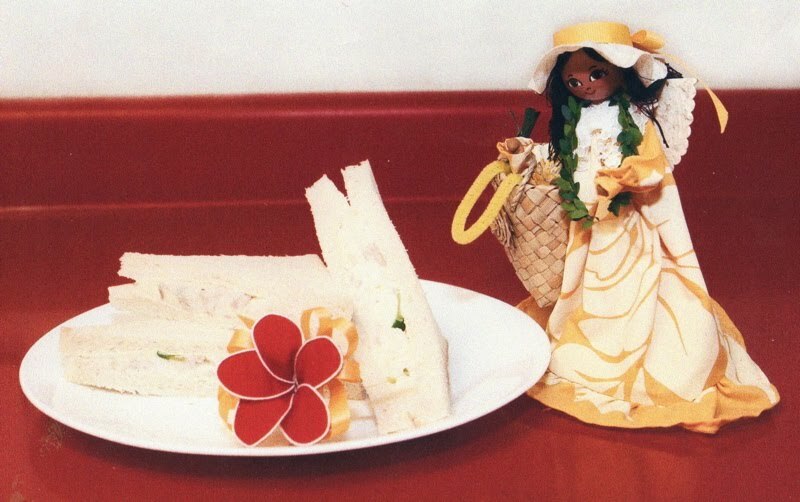 So, have any of you ever tried a Japanese Potato Salad Sandwich before? I was definitely intrigued when Lani (see yesterday's post) sent me a copy of this recipe, and I knew I had to try it. 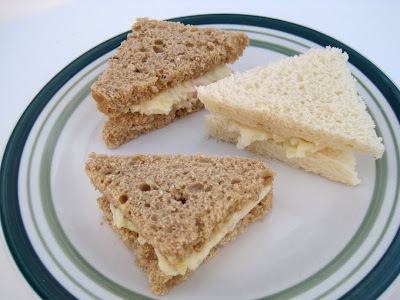 Some of the ingredients left me guessing about size and variety, so I thought I'd also tell you specifically what I used to make these tasty little sandwiches and a unique new potato salad! Boil potatoes until skins start to peel off and potatoes are soft. Remove skins and mash the potatoes. While potatoes are still hot, add the rice vinegar, olive oil and salt. Mix potatoes, mayonnaise, the other vegetables (including drained onions), ham and chopped eggs. 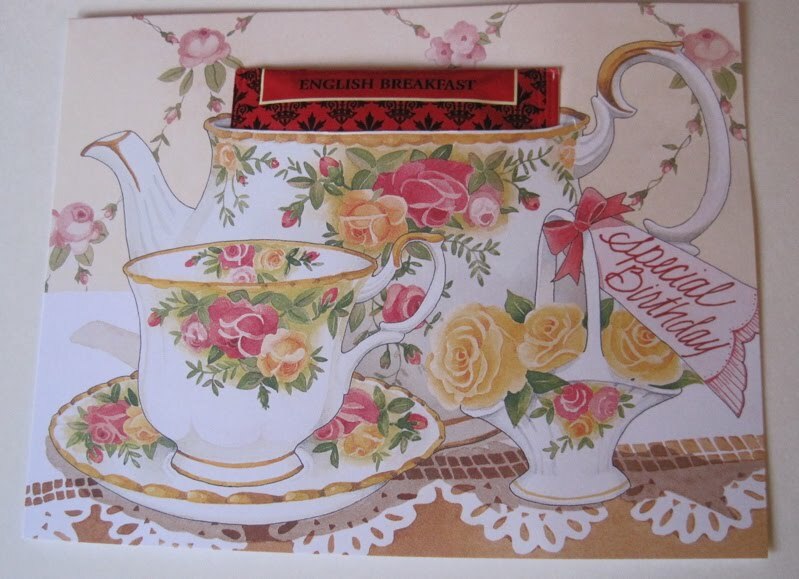 Yield: One large bowl of potato salad -- and dozens and dozens of tea sandwiches, I imagine! 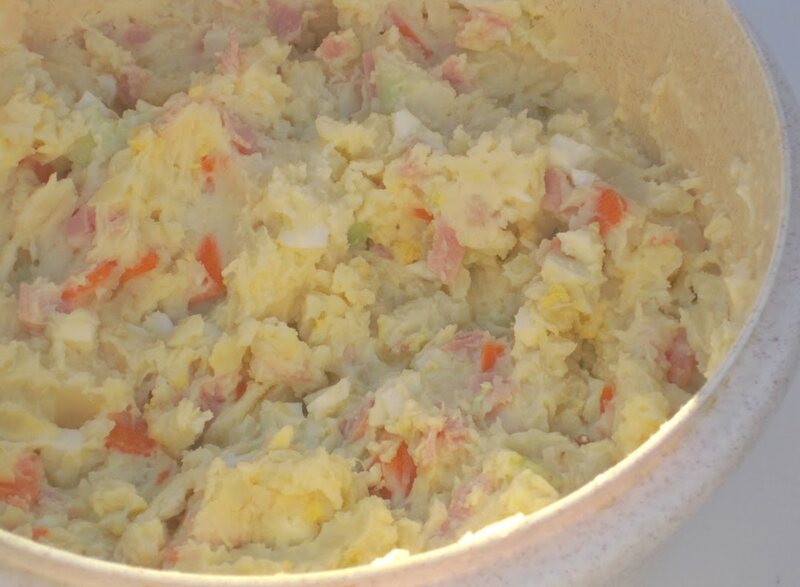 As a fan of potato salad I enjoyed both making a new variety of it and trying it as a sandwich spread. Here, I made the filling in the sandwich at left look nice and smooth while the one at right looks a little more raggedy and potato salad-y. 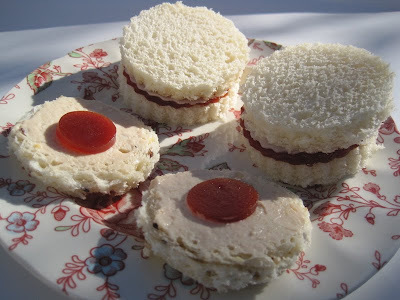 I think it would be fun to make the smooth looking sandwich for a tea party and then have guests guess what flavor it is! 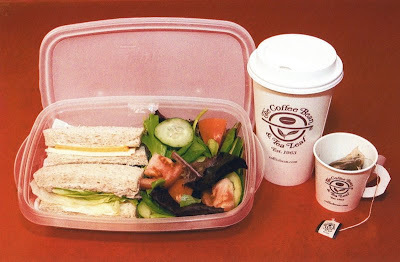 The only thing I'd change is that I would omit the onion for tea party sandwiches because I think the onion would overpower some of the other flavors being served. 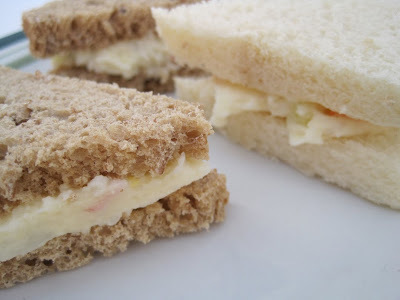 That said, I did take Japanese Potato Salad Sandwiches on white bread and wheat bread to work for lunch this week and absolutely loved them! 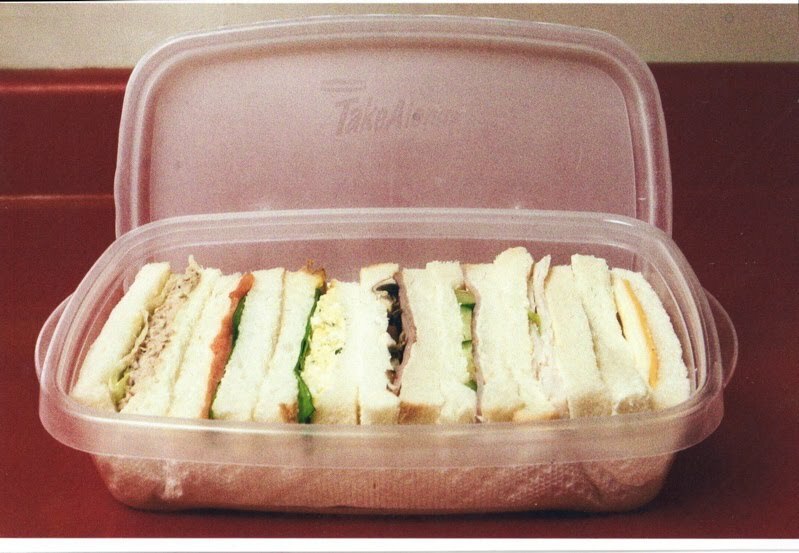 Thanks, Lani, for the sandwich inspiration! A new tea friend from Hawaii! 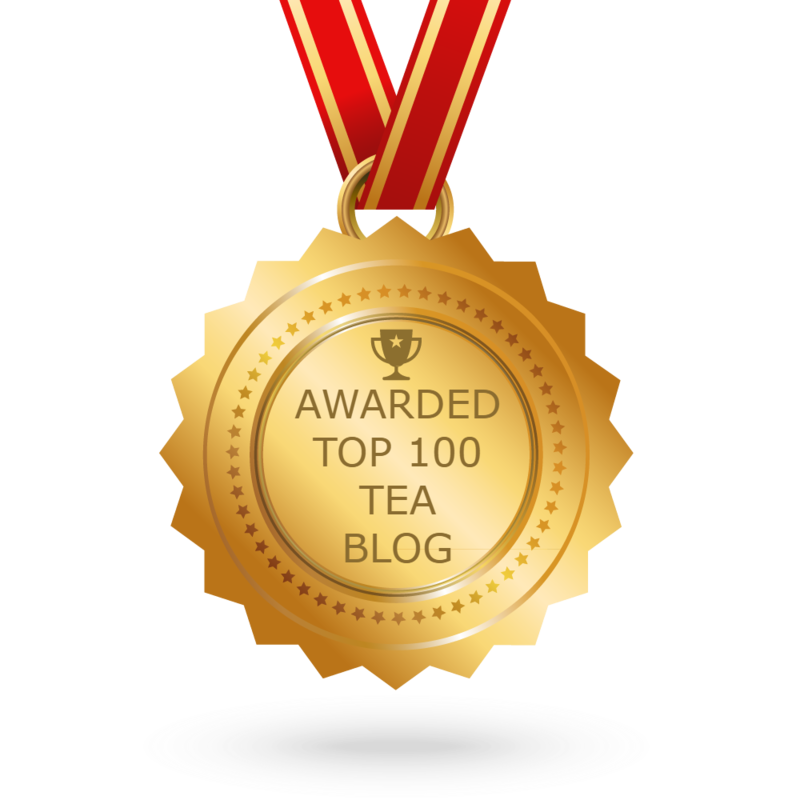 The other day I received in the office mail a completely unexpected but amazing package of goodies from a tea lover named Lani in Honolulu, who recently started reading this blog. The gifts she sent were fun and so thoughtful, and I'll definitely be sharing them in the days ahead, but my absolute *favorite* thing about this gift was that Lani shared so much of her heart and even included photos, which she kindly is allowing me to share with you! Here you see Lani and her husband Ken at A Cup of Tea, a Victorian tea room which opened in Kailua, Hawaii in 2008. 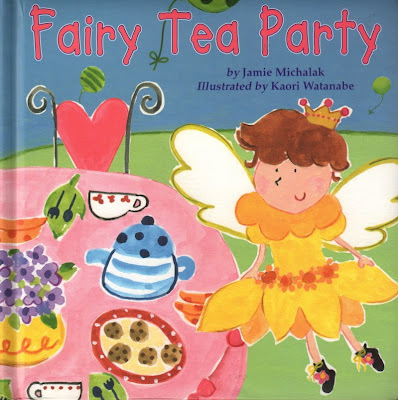 Other times, Lani said, she'd use her lunch hour to take a walk in the park, get a cup of her favorite Pomegranate Blueberry tea from Coffee Bean and Tea Leaf to accompany her tea sandwiches, and have her own simple tea party. I like the way she thinks! 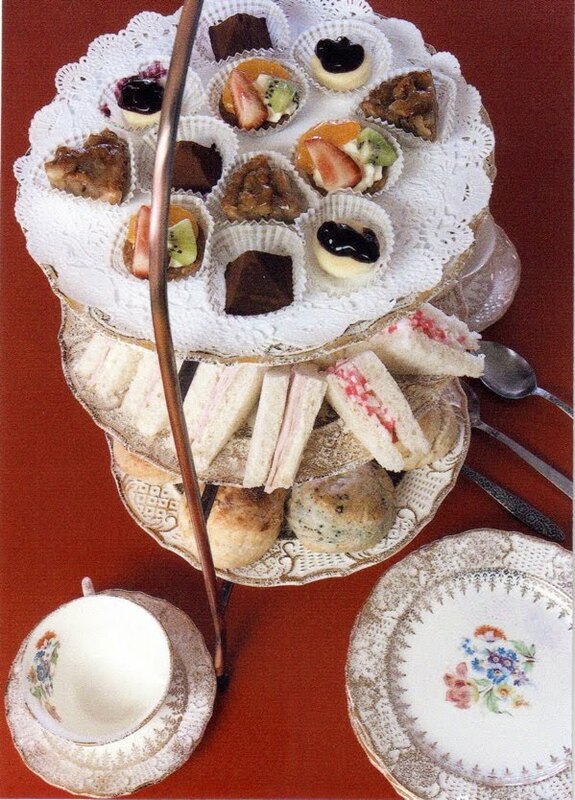 ... tea sandwiches! 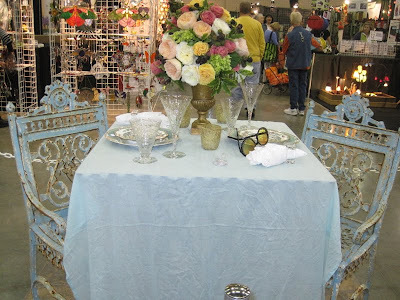 She thinks the color makes for pretty tea sandwiches, and I thoroughly agree! Do you shop differently when you have a gift card? I'm pretty sure I do. If it's my own money I'm usually pretty thrifty, but when I have a gift card I almost insist on using it for something frivolous! 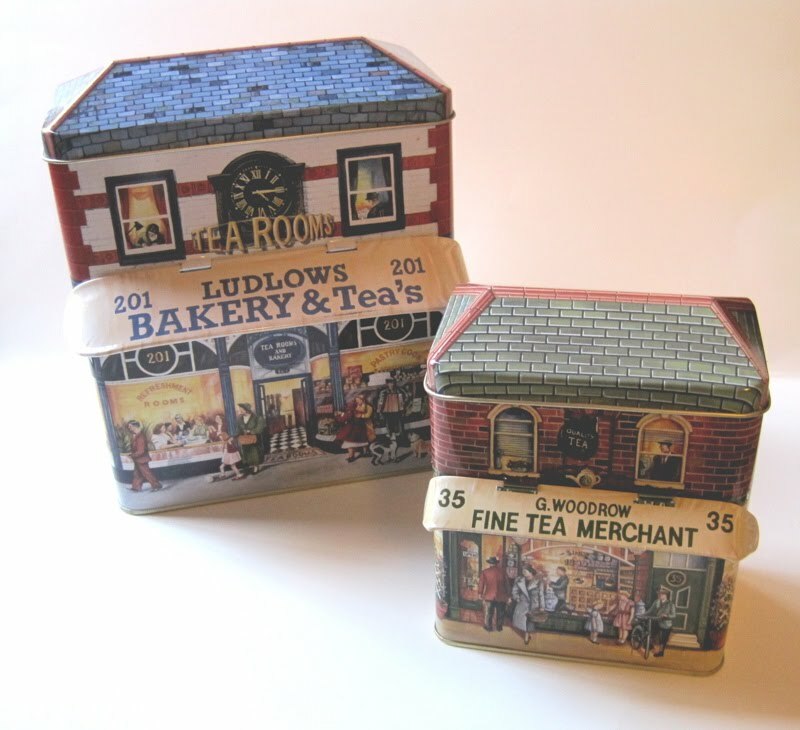 And the other day I used a T.J. Maxx gift card on two unique tea tins filled with (very average) chocolate chip cookies, but golly, aren't these tin tea shops clever! 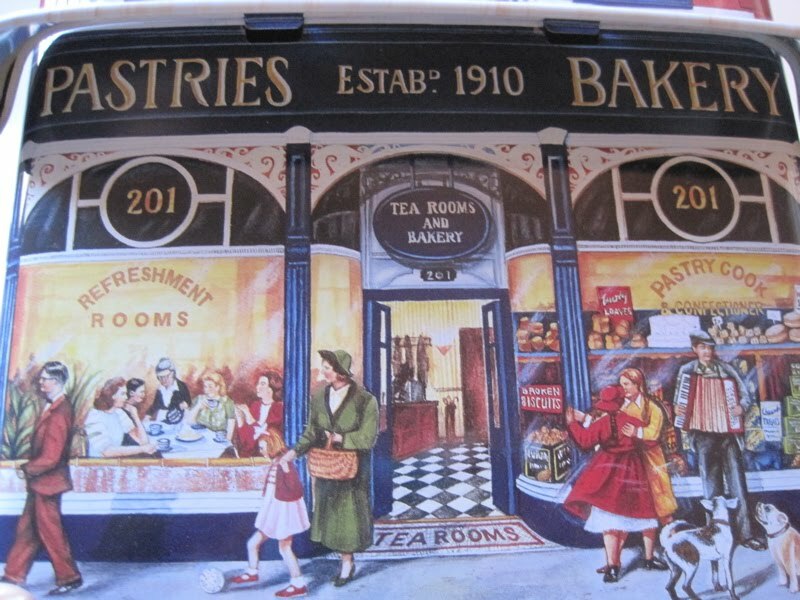 Here's a close-up view from under the awning, where you get a better view of the tea rooms and bakery. 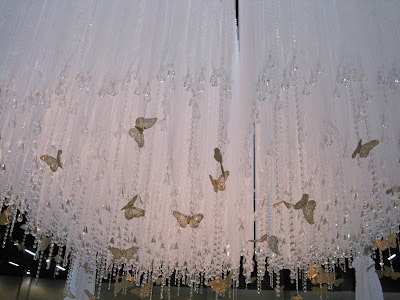 I love the thought that went into this design! 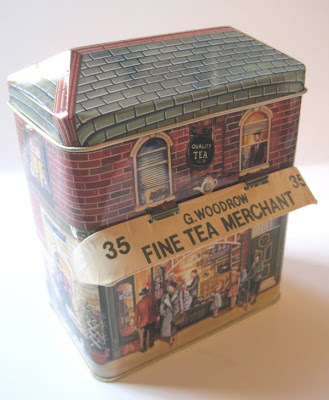 G. Woodrow Fine Tea Merchant, which stands about 6 inches tall, is the tin which originally caught my eye. 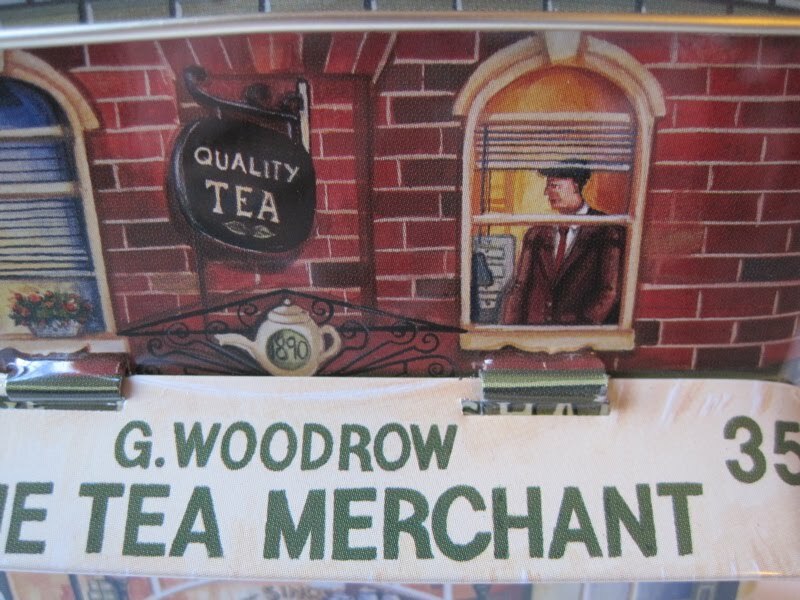 Upstairs a gent can be seen at a window near the tea sign. 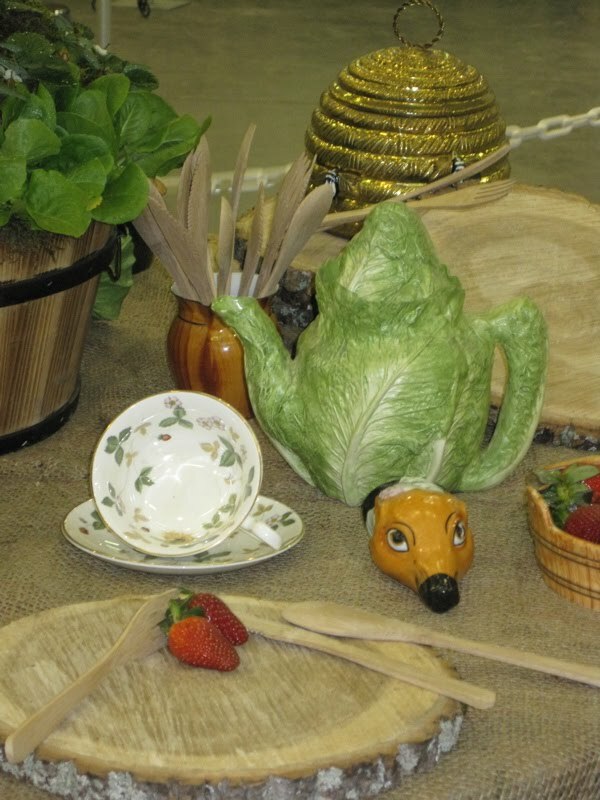 And below, you can see the chest of tea and scales for measuring tea. Such details made me love these tins, and in case some of you like them too I wanted to give you a heads-up on them! 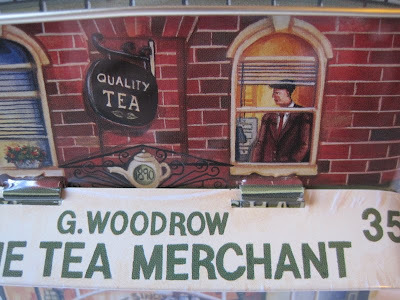 Finding tea in "Gone With the Wind"